This aerial photo view (taken from a private plane) is approximately halfway between Niles and Girard, Ohio looking east. 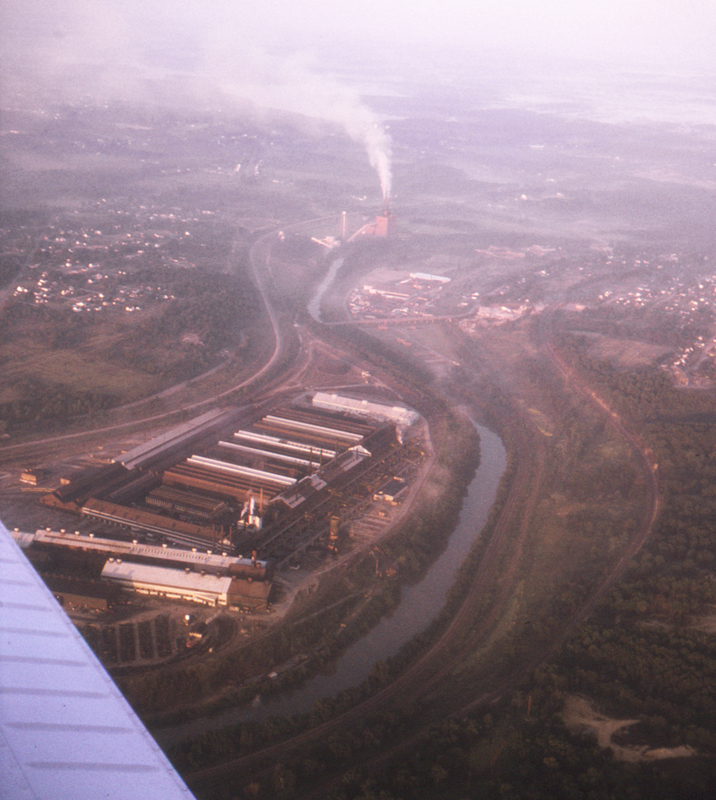 The Mahoning River runs through the center of the photo, with one of the many Youngstown-area steel plants along its south side. To the immediate left of the plant is the northern end of the Youngstown & Northern, followed by the Baltimore & Ohio mainline (part of the joint B&O/Pennsylvania Girard-Ravenna Cuttoff), easily recognizable even from this height with its well-manicured roadbed and gentle curvature. To the right of the river are, from left to right, the Pennsylvania's Erie & Ashtabula Branch, the Baltimore & Ohio's Lake Subdivision (and former mainline), and the Erie's Cleveland & Mahoning line. The highway bridge across the river just past the plant is the Olive Street Bridge; the southeastern tip of Niles can be seen at the upper right.